My Feel Good Travel Photo entry made it as one of the finalists in the photo contest sponsored by On The Go Travels. Help me win a 10-Day Trip to Turkey if ever I got the top prize in my category. Would appreciate your votes—and if possible, share it to your friends, families, relatives and fans. 🙂 I promise that if I win I’ll hold a fan message somewhere in Turkey thanking all of you who voted. 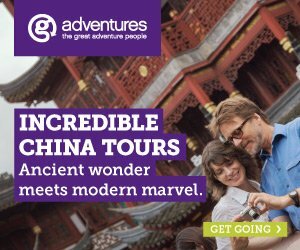 Feel Good Travel – The Great Wall of China. My friends and I are one of the very few visitors to the Great Wall of China who can gladly boast of hiking it for 10 kilometers and saw the first rays of the golden sunrise. It was an amazing feeling that would stay with us for a long time, if not forever. As the only and first three people who were there that one summer morning, we felt like we ruled and owned man’s greatest architectural feat!